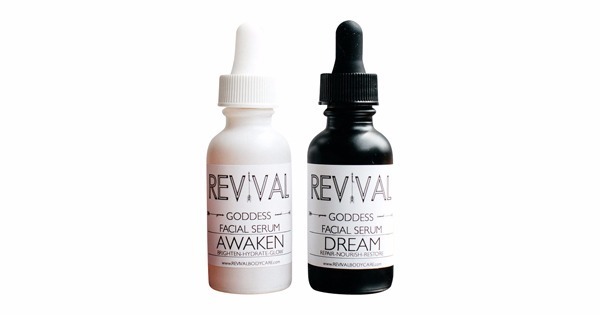 Revival's formulas designed for day and night to reveal your most Goddess like skin! Start your day with AWAKEN. Brighten-Hydrate-Glow. Rose Hip Oil - Rich in essential fatty acids and Vitamin A which help target scars, acne, eczema & psoriasis. 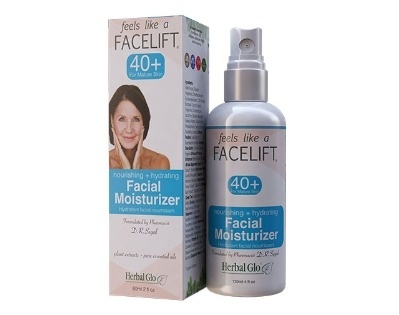 It fades wrinkles and improves skin elasticity. It's regenerative properties will target premature aging. Pomegranate Seed Oil - Stimulates keratinocytes, major cells found in the outer layer of the skin. 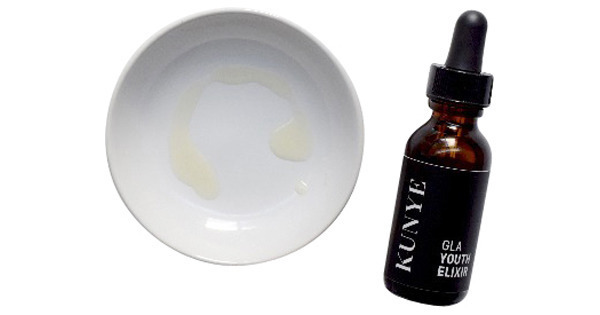 This helps to reverse skin damage, revive skin and reveal a more youthful appearance. It fights free radicals and is anti-inflammatory. It boost collagen production and and improves skin's texture. 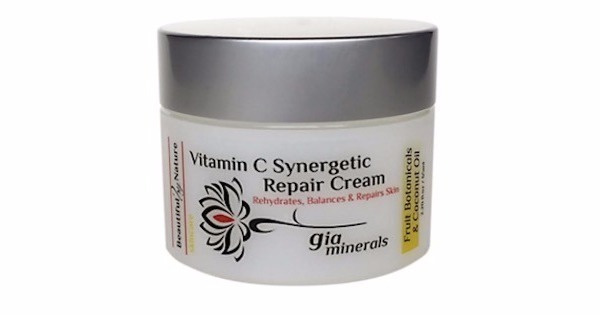 Vitamin C - Replenishes and plumps the epidermis, protects against UV damage, increases collagen production and aids in healing of scar tissue. Coffee Bean Essential Oil - Reverses the signs of aging, tightens, firms, repairs damaged skin, brightens, restores and reduces under eye puffiness and dark circles. Sweet Orange Essential Oil - Anti-inflammatory and treats acne. Finish your day with DREAM. Repair-Nourish-Restore. Sweet Almond - Calming, soothes inflammation, moisturizing, brightens skin and reduces dark circles. Argan - Powerful antioxidant, improves & preserves skin elasticity, regenerative properties assist in cell turn-over. Jojoba - Protects and cleanses the skin, fights harmful bacteria growth that leads to breakouts, soothes fine lines and wrinkles, balancing. Rose Hip - Rich in essential fatty acids and Vitamin A which help target scars, acne, eczema & psoriasis. It fades wrinkles and improves skin elasticity. It's regenerative properties will target premature aging. Hibiscus - Known as the "Botox" plant, rich in anti-oxidants that help in reversing the damage caused by UV rays, dust, pollutants, and diseases. Apply 5-10 drops to cleansed skin in an upwards motion to Face, Neck, Chest. Allow serum to be fully absorbed. Use daily.